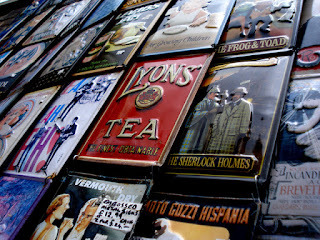 Some of my favorite days out in London are spent browsing through one of the many well-known street markets. Many of my favorite treasures have been found at these market stalls. They are a London tradition and their origin dates back to the Middle Ages. Today’s markets offer everything from jewelry and clothing to knickknacks and antiques. I’ve listed a few of the markets that top my list of favorites. bohemian and goth/punk style clothing, hand-made jewelry, interesting crafts and a variety of ethnic foods. It has both an open air market as well as a bustling indoor market known as Stable Market. 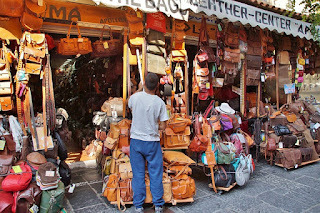 This indoor market is where one of my favorite vendors can be found selling beautiful Italian leather purses and handbags. 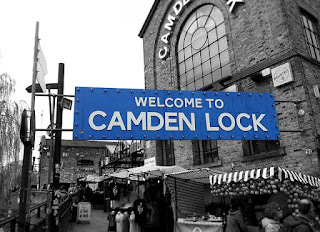 Since Camden Market is one of the larger of the London markets you’ll need to allow at least 1/2 a day to browse the stalls, grab lunch and do some interesting people watching. Considered by many as London’s best known market, Portobello Market is located in London’s trendy Notting Hill section made famous by the Julie Robert’s movie. The famous street market is open Monday through Saturday selling mainly fashion, accessories, household goods and bric-a-brac. The best days to visit the market are Fridays and Saturdays where you’ll find the streets filled with antique stalls in addition to their regular vendors. Get there early to get the best finds and to avoid the crowds. Located just a short walk from the Liverpool Street tube station, Old Spitalfields Market is open 7 days a week and offers something different each day. The main market days are Thursday through Sunday. The Thursday Antique Market offers shoppers a chance to find that one-of-a-kind antique. Friday is the best day to shop for clothing and art. Twice a month on Fridays you’ll find a Record Fair offering rare and collectible vinyl. Saturday offers a different themed market each week and Sunday has a mix of vendors offering something for everyone. Another one of my favorite handbag vendors can be found at this market selling bespoke handbags and accessories made from up-cycled leather. You can never own too many handbags, am I right? These are just a few of the many street markets scattered about the city. London is also known for some amazing food markets and fresh flower markets that you’ll be sure to enjoy as well. 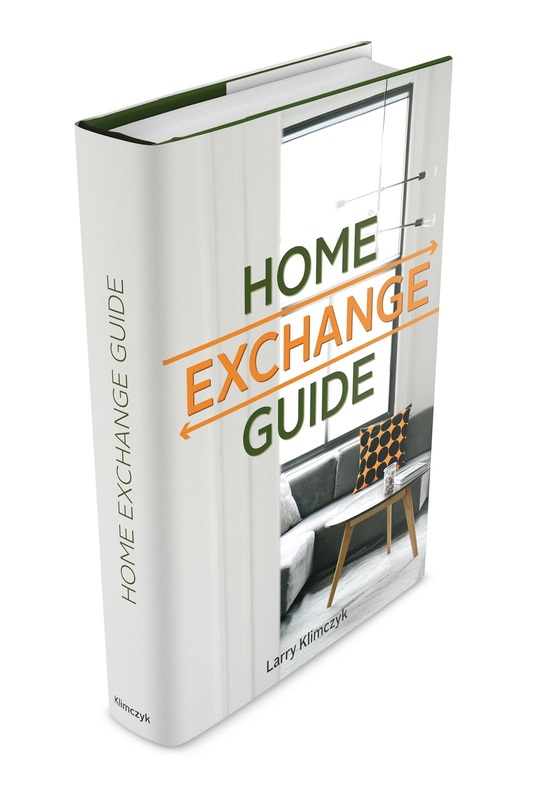 International Vacation Home Exchange has properties all around the globe with several charming properties located in London. Plan your next luxury home exchange in one of the world’s most exciting cities and be sure to hit a few of their famous street markets along the way. Great idea for a blog entry, Lisa! I have only spent time at London airports--makes me actually want to stay and visit.